As has been the case since her entry into the senior ranks, McKayla Maroney is the heavy favorite to win the Vault Championship. McKayla is firmly committed to training through the whole quad and making the Rio Olympic team. Wouldn’t it be an incredible feat for her to win Vault gold every year along the way? Though it seems ludicrous in the sport of gymnastics, It is an actual possibility for McKayla. The fluke fall on vault that lead to one of the most popular memes ever, that lead to a hunger and desire to compete four more years may have been one of the best things that ever happened to McKayla- and to gymnastics fans. Because most likely, it WAS a fluke that will not happen again. And as long as she continue in gymnastics, McKayla will grace us with the most incredible vaulting display we are likely to see. For those of you that have never seen McKayla vault in person, let me assure you that it is one of the most magical things you have ever seen in gymnastics. Cameras just cannot capture the speed and power with which she gracefully barrels down the vault runway. The explosion that is McKayla coming off of the vaulting table. And the way she continues to gain height as she twists through the air. There is nothing else like it. Simone Biles comes in a close second to McKayla. To look at her, it would seem that she could out power anyone in the world. And she almost can… anyone but McKayla that is. Simone doesn’t get quite the explosion that McKayla gets, but she makes up for it in her catlike landings. Though she has yet to do it in a competition, I have seen her stick two amanars cold in warm ups. Simone will make a definite run for the podium. Though many exciting players have dropped out due to illness or injury, the 2013 Worlds All Around competition could actually almost live up to the expectations we all had of last year’s Olympic All Around Championships. The USA brings in two very strong all arounders in Simone Biles and Kyla Ross, who have both posted over a 60 all around score this year. Aliya Mustafina comes in healthier and more competitive than she has been since her injury. And Larisa Iordache has a chance to put in the performance that we all wanted to see last year. Any one of them has the ability to take the gold, and great gymnastics is in store. The top five all around scores that have been posted this year mostly happened at the gymnasts’ perspective Nationals. Simone and Kyla pulled the top two, each scoring a 60.5. Aliya is right behind them with a 59.85. A new name to the all around podium possibilities this year is Giulia Steingruber from Switzerland. She scored a 59.4 at the Swiss Championships in early September. 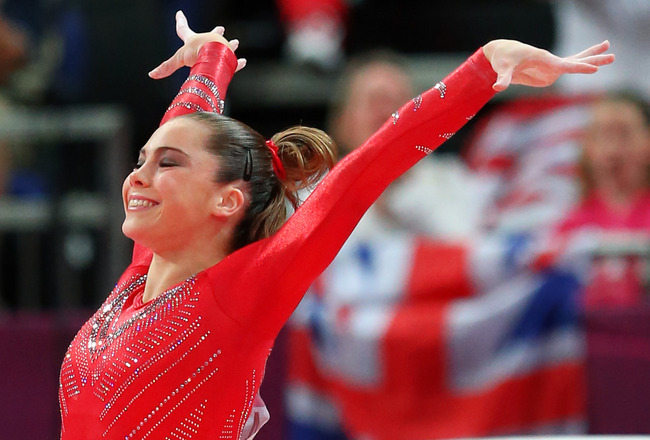 Larissa rounds out the top five of the gymnasts who will be competing at Worlds with a 58.55. Simone and Kyla both looked great at US Nationals, and each still have a little bit of room for improvement. That is a great place to be going into Worlds. Simone comes in a full point ahead of Kyla in difficulty (D) scores, which usually means that Simone has to falter for Kyla to beat her. However, Simone has not had the most consistent history, and in her first major competition on a world stage, it would not be unheard of for her to do exactly that. Kyla has the advantage of her Olympic experience. She has been there, done that and just seems to get better under pressure. 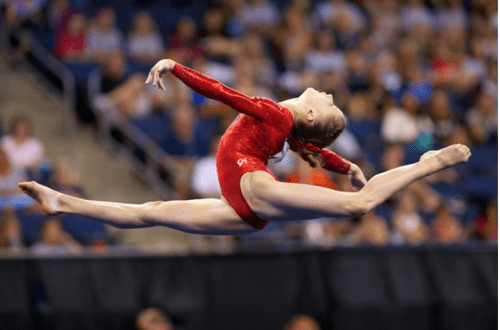 That being said, the USA has seemed to train their gymnasts to be machines on the world stage, and Simone is likely to be as well prepared for a solid competition as the past two years of girls have been. Aliya also has a solid run at the gold. Reports are that she has had a cold, and isn’t as prepared as she would like to be. But she will be adding difficulty to her bars routine, putting her .5 behind Simone and .5 ahead of Kyla in the difficulty (D) score. It would be wonderful to see the delightful, mature Aliya combine with the fierce, unflappable Aliya of 2010 to grace the world stage. She is such a special gymnast, and seeing her return to an even better version of her former glory would be an incredible delight. Giulia has dominated the all around in Switzerland for the past three years. However, this is the first year she has posted an all around score high enough to make a run for the podium on a world stage. Rumors are that she looked fantastic at the Swiss Championships. What a wonderful thing it would be to have a Swiss gymnast on the podium! Last, but most certainly not least is Larissa. Everyone had such high hopes and expectations of her going into the Olympics. Something as common as plantar fasciitis hampered her dreams and our hopes for her. It would be wonderful to see a fully healthy Larissa come out and perform like we were all hoping to see last year. It is unlikely that we will see anyone out of these top five on the podium. But anything can – and usually does- happen in elite gymnastics. Here is hoping that each of these girls comes into the all around finals healthy, happy and able to perform at their peak level. No matter what the order, that would be a win for all gymnastics fans. In this group of gymnasts, Kyla Ross will most likely run away with the Uneven Bars National Title. She is the only one with a high level of difficulty paired with excellent execution. Elizabeth Price, Simone Biles and Brenna Dowell all come in with enough difficulty to make the podium, their ability to execute well will definitely decide whether or not they make it. Peyton Ernst, Madison Kocian and Abigail Millet all swing bars with beauty, grace and excellent execution. Lexie Priess has a good mix between the two. Silver and Bronze are definitely up for grabs! Brenna Dowell – Lots of possibility. Now that the 2013 Elite season is firmly underway in the US, many are asking questions about the end goal of the season – the World Championships. Here is the breakdown for you. 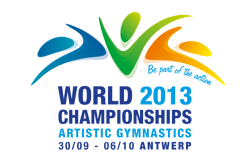 The 2013 Artistic Gymnastics Championships will be held in Antwerp Belgium. They will begin on September 30th with an Opening Ceremony. Men’s and Women’s qualifications will take place from the 30th to October 2. Men’s All-Around finals will be on the 3rd, Women’s on the 4th and then Event Finals will be help on the 5th and 6th. The year after an Olympics, there is no Team Finals competition at the World Championship. Each country may bring four gymnasts, and two per country may qualify for each final. The top 24 all-around scores will go to the All-Around Finals and the top eight will move on to each Event Final. Most countries will be looking to bring the combination of gymnasts who will win the most individual medals. After each meet, I like to take stock and say, if I had to name a team today from the US, who would it be. So lets take a look at the possibilities in the US. All scores from below are taken from Uncle Tim’s awesome post. Simone Biles and Kyla Ross have pulled the top two all-around scores this year. Simone scored a 60.4 at the City of Jesolo (the highest all-around score in so far in the world during 2013) and Kyla scored a 59.3 at the GER-ROU-USA Friendly Meet. Close behind are Katelyn Ohashi with a 51.199 at the American Cup and Elizabeth Price with a 59.165. If either of them are healthy enough to return before the selection camp, they could definitely play into the picture. Especially if Simone does not show consistency and the ability to hit when it counts at Nationals. However, in addition to being a top all-arounder, Simone has put up some of the highest scores in the world on Vault and Floor. She is second only to McKayla on Vault and to Ksenia Afanasyeva on floor. This makes bringing her especially appealing as she has the ability to take home three medals. Lexie Priessman did not compete all-around at the Secret Classics. Her performances earlier this year looked a little lackluster, but she is the reigning US National Champion. And her performance on the events she DID do in Chicago showed only good things to come. So we shouldn’t count her out quite yet. McKayla Maroney has put up the highest score on Vault this year at the Secret US Classic, and seems a very likely candidate to be brought along for an event specialist medal. MyKayla Skinner will be working hard to overtake McKayla as she actually has more difficulty. However, she will need to make some major improvements in execution for that to happen. Kyla Ross has the most potential to make the Uneven Bars final, and has actually put up the second highest bar score in the world this year (a 15.4 at the Friendly meet compared to Aliya Mustafina’s 15.5 at the Russian Nationals -though Aliya was doing a watered down version of her previous routine). Katelyn Ohashi is in the top 6 as well. Katelyn Ohashi has a monster beam routine, and has put up the top score in the world for beam so far. She scored a 15.8 at the Woga Classic to Larissa Iordache’s 15.65 at Anadia. Simone and Kyla rank in the top ten, but are unlikely to be up to the podium level unless Kyla brings a lot of upgrades (she watered down her routine at Classics). Simone put up the second highest floor score in the world with a 14.9 in Jesolo behind Ksenia Afanasyeva’s 15.166 at the European Championships. Just behind her is Lexie Priessman with a 14.8 at the Secret Classic. So what does all that mean?!? At the current state of competition readiness and health, Marta would most likely send Kyla Ross (AA, UB), Simone Biles (AA?, V, FX), McKayla Maroney (V, Fx?) and Lexie Priessman (Fx, AA?). If Katelyn comes back healthy and ready to compete, she could definitely take one of those slots (FX, BB, UB?). Though there are a number of other talented girls that could come into the mix (Peyton Ernst, Brenna Dowell, Abigail Milliet, MyKayla Skinner, and Elizabeth Price) all of them would have to put up higher all-around scores or a much higher event score than they have currently. 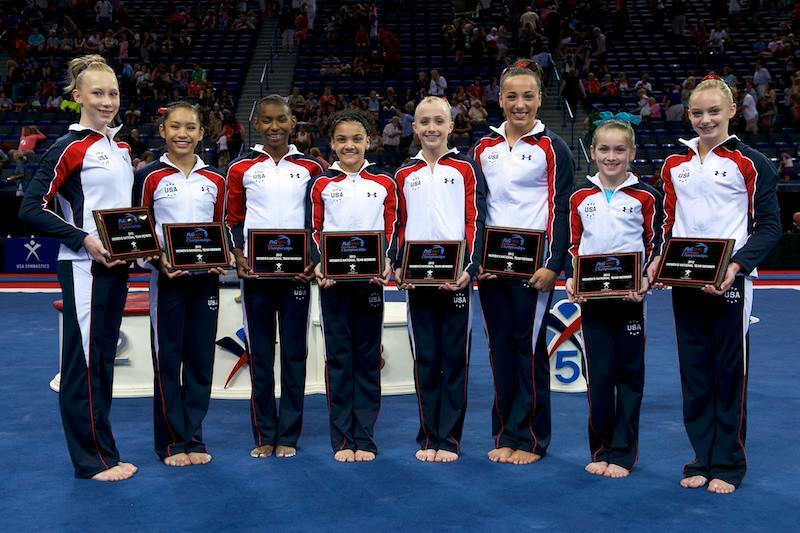 P&G US National Championships will shed more light on the team selection. But as there is likely to be another selection camp in September after Nationals, it definitely won’t tell the final story!